After running back and forth between my camera and bike hundreds of times, I was able to condense well over an hour of footage into this 2-minute video. Frustrating at times, but the amount you learn about your own riding and filming is huge. A few shots took roughly 15 takes before I was happy with it. Similarly, the worst was finding out a sweet shot was ruined by being out of focus or the tripod tipped over. Nonetheless, it was a very rewarding process! Wow mate, hella good job. That’s a lot of time commitment and all. Props. Video is sick too! man I loved the composition of the images in this video, added a lot to the nice riding !!! @panchocampbell @jdsusmc thanks guys, super stoked you liked it! I wanted to learn a bit more about videography and I figured that this would be a good way to do so. It's like putting together a puzzle, it's frustrating at times but a really fun process overall! @victoriabiker13: I’ll have to try it for myself one of these days. @jdsusmc: I'd definitely recommend it! @victoriabiker13: I liked that a lot, reminded me of a lot of my favorite snowboarding films. Great job man! @patrickbatemanworldtour89: Thanks! Really glad you liked it. Watching the video I Felt as though it was a Nobl effort. Wow. That was unreal. Nice change to have so many still shots in a video. Makes it real easy to appreciate the riding. Thanks man! I was a little worried people wouldn't like the still shots, so I'm really glad you liked it! Great work Max! Beautifully shot and super stylish riding too! Thanks Scott, definitely pulled inspiration from your videos. If my video was 5% as good as one of your vids I would be stoked! Dude is a young up and coming Enduro racer. Came in 2nd place in the U21 (I think or U19?) in the EWS round in Whistler. He races in the same local series I race in (he’s in Expert and I’m in Intermediate 40+) and his times destroy mine... not hard to beat me but his times over the same trails boggle my mind... kids hard. Thanks @nvranka @islandforlife ! You guys are way too nice, I really appreciate the kind words. And yup, hopefully going to be racing some more EWS races in 2019! Excited to see how it will go! @islandforlife see you out on the trails, and at the very least, at the next Island Cup in the spring! @nvranka Vancouver Island is the best, definitely would recommend coming here for a vacation. If you come in the spring you could link it up with an Island Cup race as well. We have a great mtb scene over here. 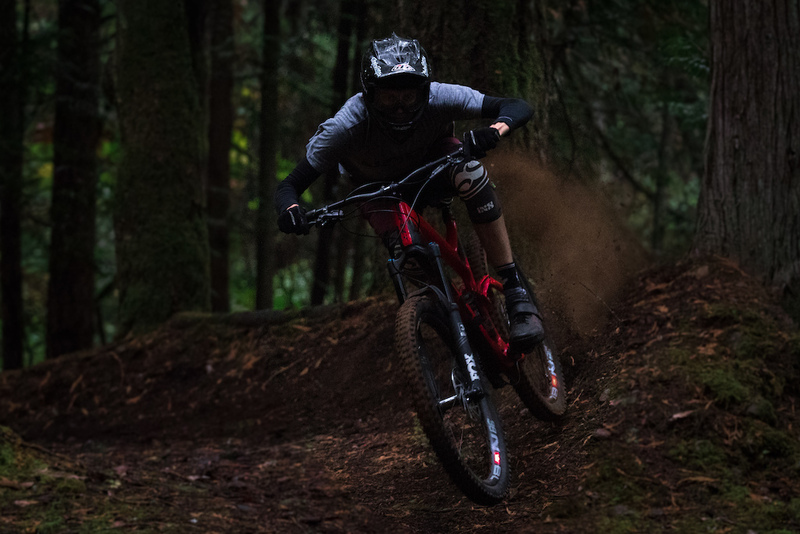 Great work Max, this video has a really nice feel to it, makes you want to get out and ride more. The music (song title?) and imagery work really well together, sweet riding style too. Hoping to explore Van Island on the next trip over to Canada. I would definitely recommend checking out the Island (Cumberland, Nanaimo, and Duncan especially). The riding here is phenomenal. Really love the shots and how you’ve put something like trees and stuff into the foreground in most of the shots. That in change with the detailed nature clips was pretty enjoyable to watch! Really looking forward to film something again in the near future - if the snow still waits a little bit ???? Glad you liked the video! I agree, playing around with digital zoom in post really helps. Just watched your video, it was sweet! Some killer riding man. Filming and editing was primo too! So good! Inspired me to do my own version...but with much shittier riding haha. Legs were definitely not used to all of that running. Fell pretty hard running to turn off the camera at one point too haha. And thanks! Fired up you liked it. Thanks a lot @suspended-productions ! Really glad you liked it. Means a lot coming from such a great shooter like yourself! Great video!!! I self filmed myself once and to get this kind of result you must have walked soooooooooooo much that day!! Great job! Awesome work @victoriabiker13! I love how you made Torpedo Run look fun...haha! Such a crazy smooth rider...keep it up! Beautiful shots, what camera did you use for this? Haha thanks Rivers. Glad you liked the shots! I shot the video on a borrow Canon T6i with the kit lens and 50mm 1.4. I just bought a Sony A6300 so I can make more videos though! So refreshing. Loved it. Great balance of pace, music and stills composition. First video I’ve been compelled to comment about in a while! Strong work. That means a lot (especially when there are so many videos out there). I'm really glad you liked it! Thanks Peter! It was definitely harder than I thought, but a fun process and I sure learned a ton about videography (I learned that there is so much I don't know). Loving your recent videos, super entertaining and well shot stuff. Also, your colour profile is unreal. What camera are you shooting on? Woah, Torpedo Run has never looked so good! Awesome video Max, looking fast as always! Awesome work man! Self-shot is tricky to get right, and like others have said, making Torpedo Run look that good is another challenge. So sick. Thanks dude! Glad you liked it. Definitely was tough finding new angles for torpedo haha. So many angles ended up being throw-aways. Looking forward to you next video! The Jakob Hartman one was sweet. Thanks @islandforlife ! I appreciate the compliment! It was fun experimenting with different angles. Hoping I can start doing some more video work! Which trail system is this? @gunners1: yup, Hartland! Main trail I filmed on was Torpedo Run. 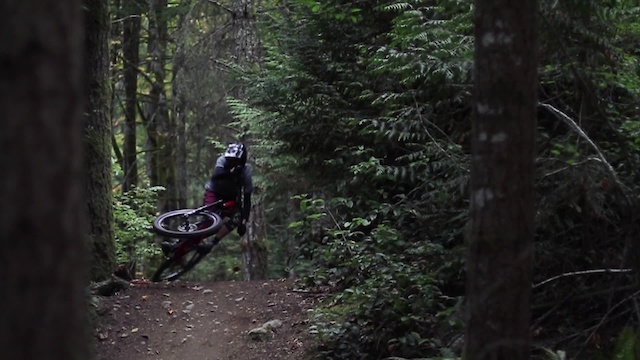 Great riding and filming, very nice job! Thanks mate! It was definitely a fun project! Nice video dude! So much commitment to self-shoot a video! Thanks Jackson! Stoked you liked it. By the way you're killing it on the videos lately! Does anyone know what camera he used? Sick video! Hey man, for this video I borrowed a Canon T6i with a 50mm 1.4 lens and kit lens. I just bought a Sony A6300 and that seems like it should be a lot better than the T6i! @victoriabiker13: Thanks man, cant wait for more vids! That self-shot was rad! Nice filmmaker/rider !! Thanks! Means a lot coming from a great filmmaker like yourself! Props on a great self made video!! Nice and cool perspective. Cheers! Really happy you liked it. Super nice kid and a total pinner. Well done! As a filmmaker, I am impressed with your dedication and stamina! Cheers @gloch ! I really appreciate the kind words! Interesting perspective of the scenes. Refreshing video! Glad you thought so! Thanks! Totally, it's a killer bike. The suspension design is crazy good. It's too bad more people don't know about it. Nicely done! stoked to see that last drop is still around! Is that drop at Prevost? @sinister-dna thanks! Such a buttery drop, cool landscape around there too! @ErikTheRad: nope, but there is a very similar one at Prevost! Glad you liked it!! Cheers! That landing at 42 seconds. Butter. killer edit Max! You have great style man.